We are not a jewelry store! Written by Micah Brown On October 23, 2017. 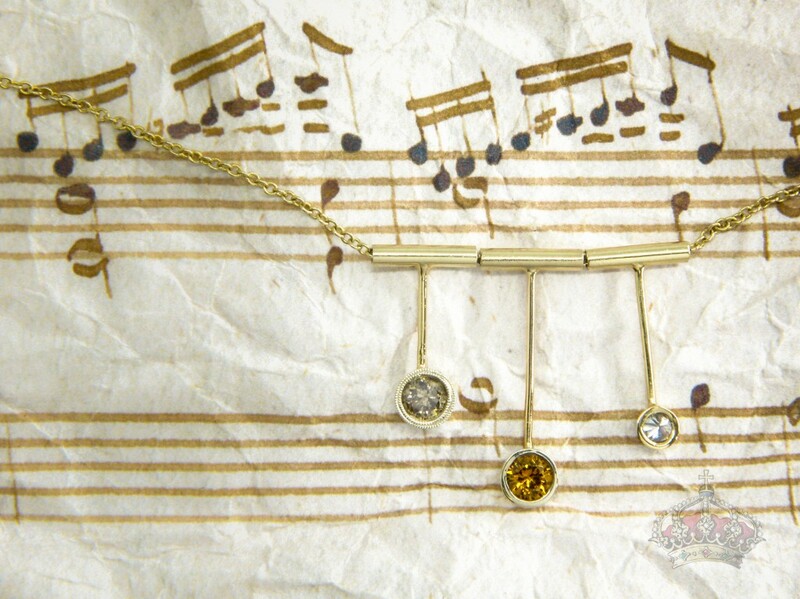 We find any way we can to repurpose, reuse and recycle your jewelry in order to get you the most value out of what you already own. 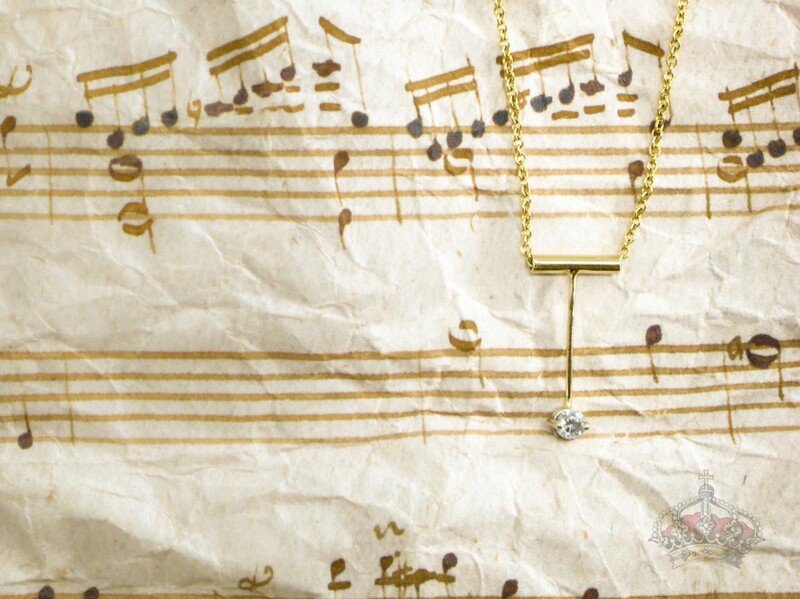 Not only that, but in cases of high sentimental value, that sentimentality is retained as the stones and metals are the same but the design is changed to align with your own personal tastes. 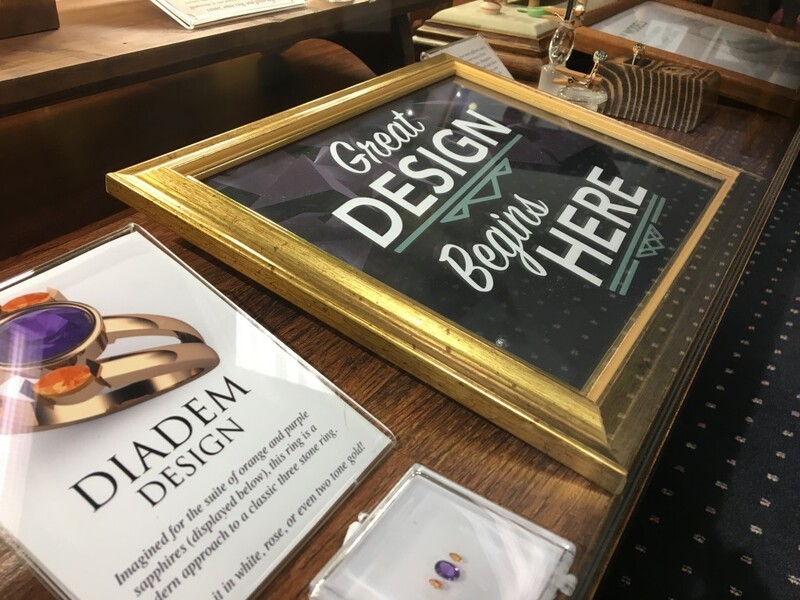 We are so committed to helping you get the most out of what you already have, that we made all of our own jewelry displays out of all reclaimed materials. 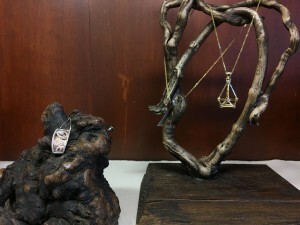 Through frequent visits to the “Creative reuse center of the Piedmont Triad”, Reconsidered Goods, we found a plethora of unique items that had great potential as jewelry displays. Each unique display was a labor of love to showcase that old pieces can be given a new life, just like jewelry. Scroll through and see a sample of a few of our displays, better yet, come by and see for yourself! In addition to chaining our displays, we have begun to switch some of our furniture as well. Opting for unique and individualized pieces that are not only functional and comfortable but have a story as well! Like the chair pictured below. Manufactured in Siler City, NC by the Boling Chair company. 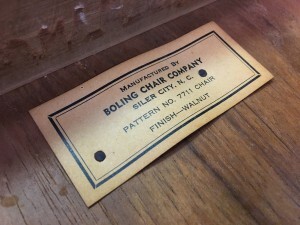 Boling Chair Co. started out in 1901 as Siler City Bending Co. One of the company’s founders, Mal Boling, rebranded as High Point Bending and Chair Co. in 1904. Up until that point, it made bentwood parts for other companies before producing its own bentwood furniture. 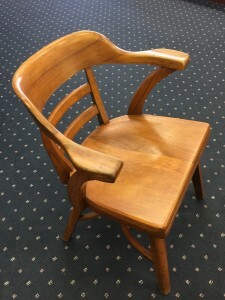 The company’s name became Boling Chair Co. in 1956 or ’57, and then Boling Co. in 1979. They are still around today! based in Mt. Olive, N.C., and called Boling Furniture Co. Just like your jewelry has a history, a story, and a unique air about it we want to produce new jewelry for you that becomes an instant heirloom. Written by Andrea VanDerwerker On October 7, 2017. 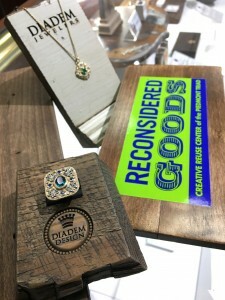 In this day and age, we are all familiar with the term “Reduce, Reuse, Recycle.” Well we here in the jewelry business have our own take on this. Curious now? 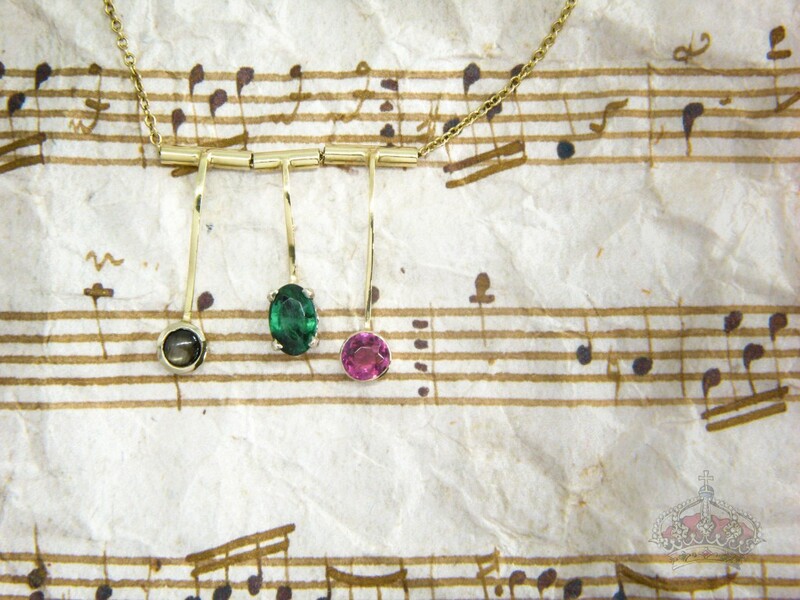 Read on to learn about how we inure no jewelry goes to waste! 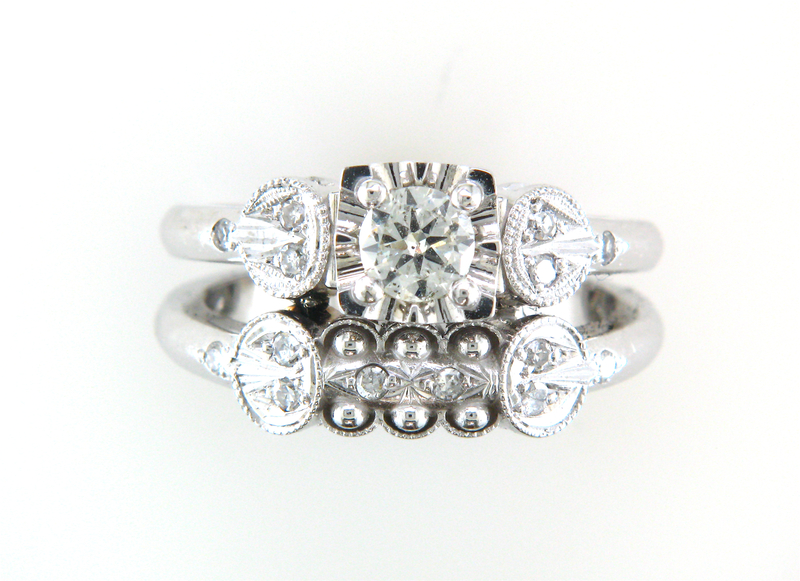 Dawn came into our store one day with a ring that had been loved and cherished for many years. It was her grandmother’s engagement ring and had recently been passed down to her. 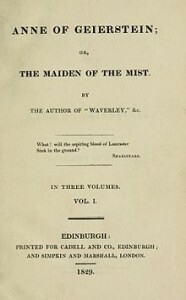 It had clearly been well loved, which presented itself in the visible wear and tear of the piece. 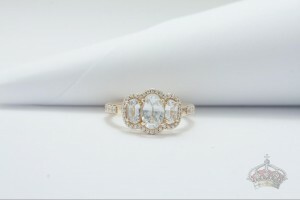 She brought it to us in hopes that we could create something similar to the ring so that she could give the original to another family member and keep the copy to remember her grandmother by. After some deliberation, we suggested that we make a ring that would look as close to what the original ring may have looked like when it was first bought. She loved the thought of a ring almost identical to what her grandmother’s would have looked in its original glory! This is where the “three R’s”, if you will, of the jewelry industry come in. 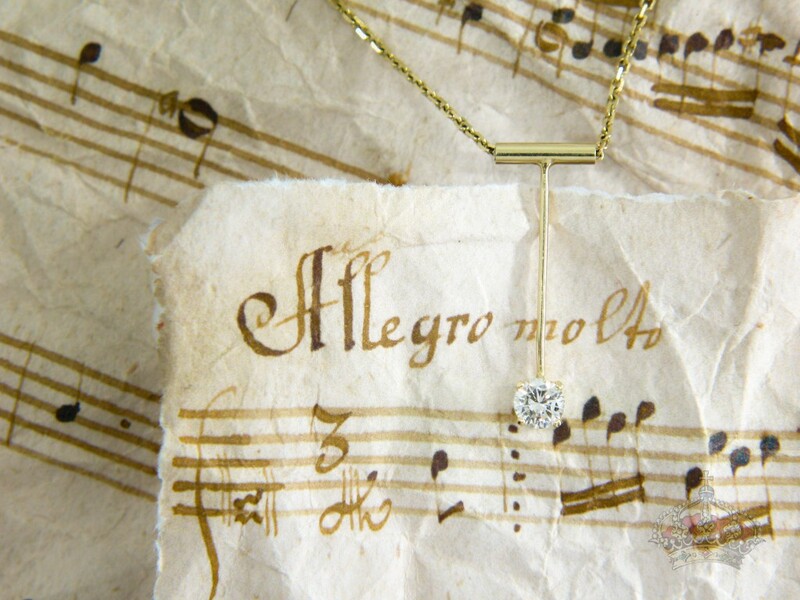 Refurbishing your jewelry means we will take the existing piece and do our best to restore it back to what it may have looked like when it was first purchased. How amazing would it be to look at a piece of jewelry and think about how that was what your mother or grandmother would’ve seen when she looked down at her hand. Recreating a piece means that we will make a copy of the piece that you already have to the best of our ability. If you, like Dawn, wanted the opportunity to share your memories with another family member, this is a great way to be able to do that. Recycling heirloom jewelry is becoming more and more popular as we see customers bringing in pieces that have great sentimental value but aren’t their style. I think that we can all agree that we don’t go into a clothing store and buy clothes that we would never wear. Jewelry is no different. We want it to match our own style and personality. In this case, we can use the stones and metal from a piece, or several pieces, which retain their sentimental value, and use them to make a brand new heirloom. Whatever the case, we give you several ways to get the most value out of every piece you own! Our passion is helping people create something that they will enjoy wearing for years to come. Something to bring back memories of a simpler time. Something that will stand the test of time. Written by Erick Razo On October 2, 2017. Rain is one of the most beautiful gifts that we have been blessed with. Rain provides life to anything it touches; it gives kids a chance to jump in the puddles it forms, some people just close their eyes and listen to the gentle sound it creates on a roof. In the gemological world it begins the process of formation for one of the most amazing gems that exists. This month we will take a closer look at Opal. Opal’s unique display of colors, lead the Romans to believe that it was the most precious and powerful of all gems. To them it symbolized love and hope, that is why the Romans would give Opals to their loved ones. 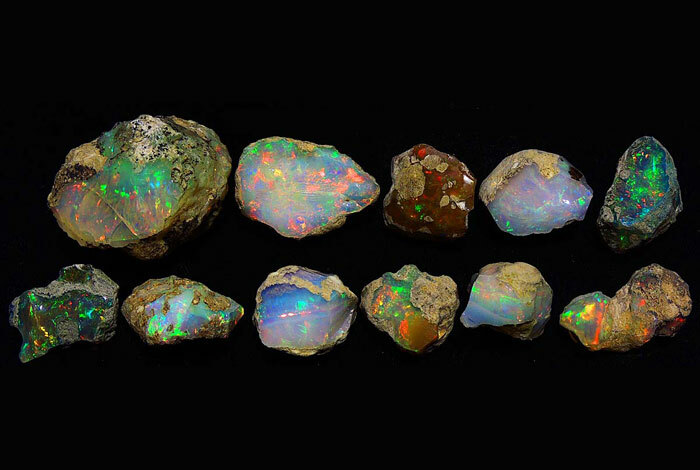 As providence would have it, the Romans gave Opal its name from the word “opalus” which means “precious stone.” Many Arabic nomads believed that Opal contained lightning within them as they fell from the sky during thunderstorms and they wore them as protective tokens. 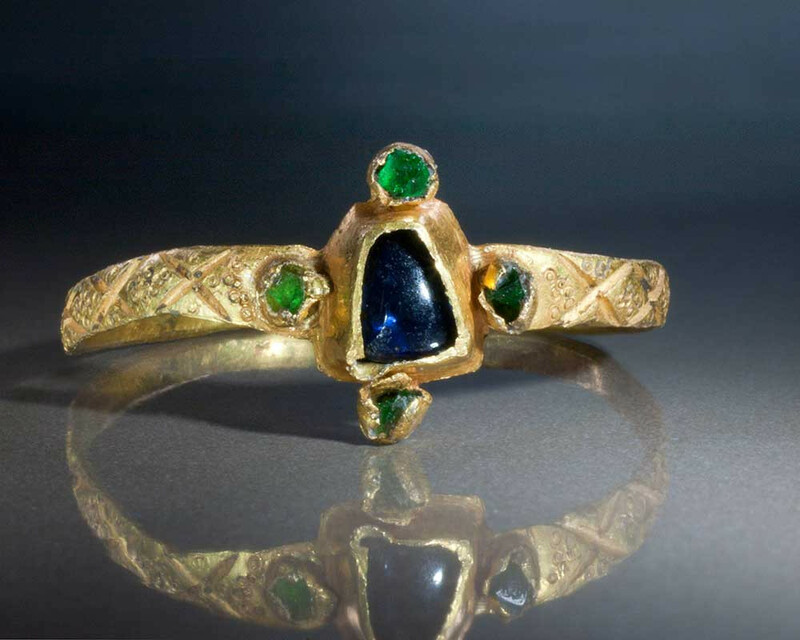 In the middle ages, Opals were a symbol of hope, purity, and truth; many maidens had jewelry pieces adorned with Opals and Pearls to symbolize their purity. One of the most known lore about Opal is that anyone who’s birthday is not in October will have bad luck if they wear them. 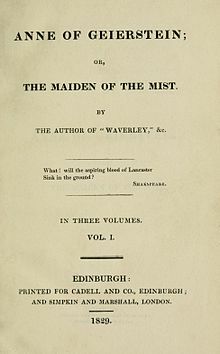 This myth dates back to 1829 when author Sir Walter Scott published Anne of Geierstein. The main female character in the story wore an Opal on her head, in the story, her Opal gets sprinkled by holy water, and it caused her to faint. When she woke up from her sudden faint, the opal had turned into ashes. 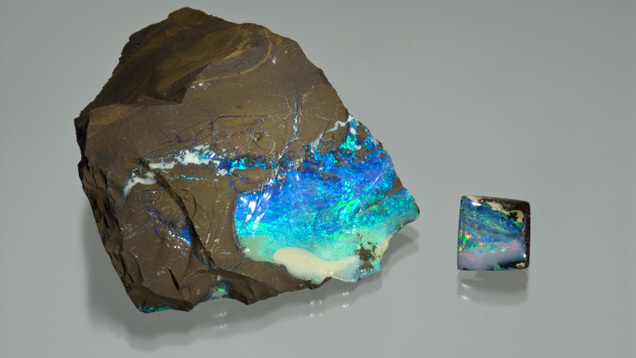 The act of holy water turning the Opal into ash, made many believe that Opals were bad luck. The Opal in the story was a reminder of a tragedy that happened to her, the Opal turning into ash was supposed to symbolize her rebirth from that tragedy. In the end is just superstition. 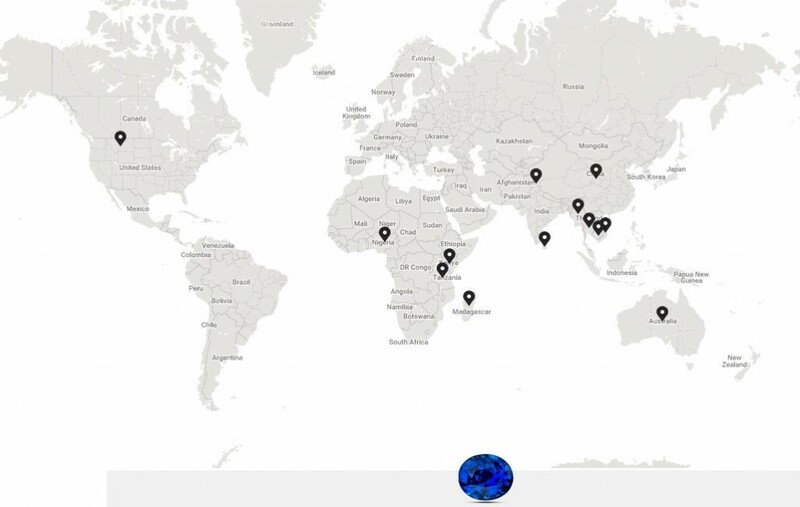 Opals form in many parts of the world, especially in semi-desert regions. 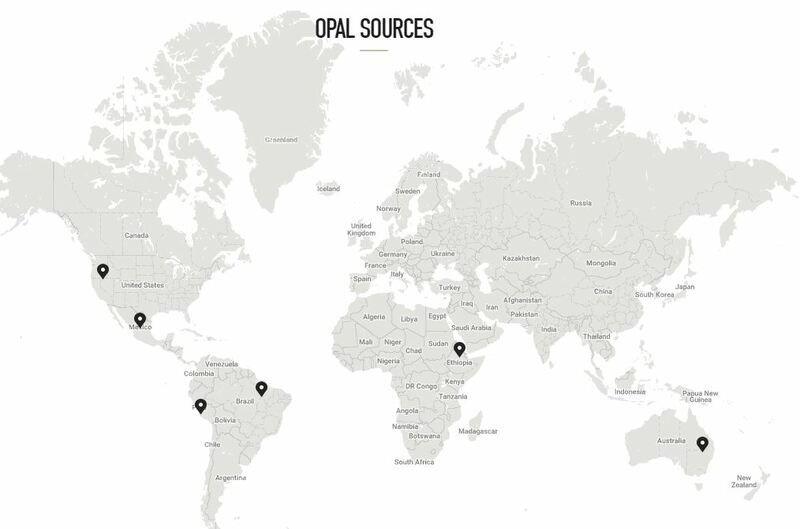 Australia, Ethiopia, Peru, Brazil, and Mexico are the countries with the highest quality of Opals found in the market. 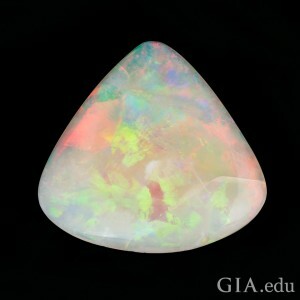 White Opal– This Opal is translucent to semi-translucent, it displays play-of-color against a white or gray background color, the background color is also referred as body color. 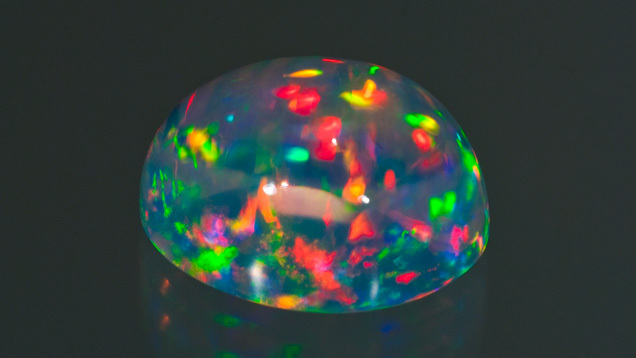 Black Opal– This Opal is translucent to opaque, it displays play-of-color against a black or another dark background. 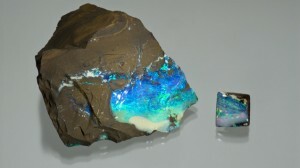 Boulder Opal– This Opal is translucent to opaque, displays play-of-color against a light to dark background. 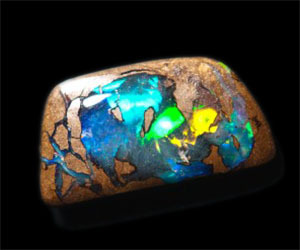 The unique feature of this Opal is the remaining fragments of surrounding rock, called matrix, become part of the polished gem. 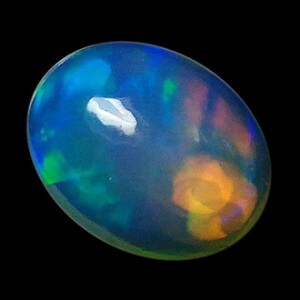 Crystal or Water Opal– This Opal is transparent to semi-transparent, with a clean background. This type of Opal displays exceptional play-of-color. All Opals have a unique play-of-color, the colors they produce are exclusive to each one. No two Opals are alike. The unique displays of color combinations that Opal provides allow for designers to create pieces that feast the eyes. Most Opals are cut into cabochons, a smooth stone with no facets, a domed top and a flat or slightly domed underside. 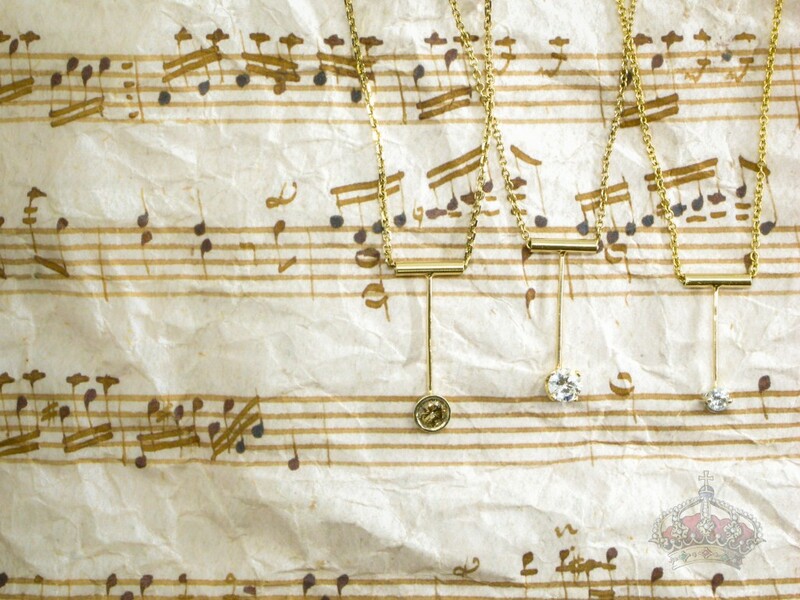 You will see them in necklaces, rings, and earrings. Some colors can be scarce and can demand a premium price. 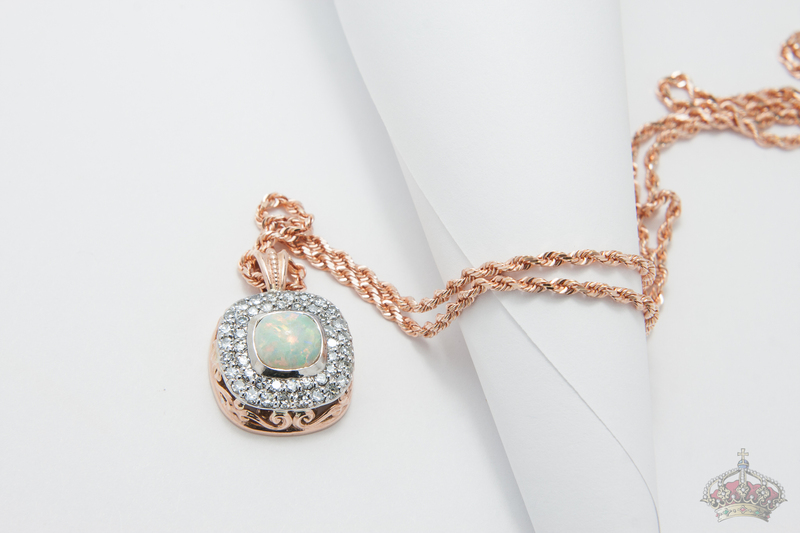 Here is an example of a white Opal pendant we designed. Opal has a 5.5-6.5 on the Moh’s scale. The Moh’s scale of mineral hardness characterizes the scratch resistance of various minerals on an exponential scale from 10 to 0. The top of the scale is Diamond at 10 and graphite at 0. Due to its low hardness, Opal is not ideal for heavy everyday wear. In the right mounting with the right protection, Opals will last a long time. The gentle touch of the rain as it falls and soaks the ground, it provides the perfect setting for a kiss under the rain or maybe just a romantic walk under the same umbrella with your significant other. Their simplicity makes them stand out from all the other gems, their colors are vivid, and their uniqueness from one another makes them even more appealing. 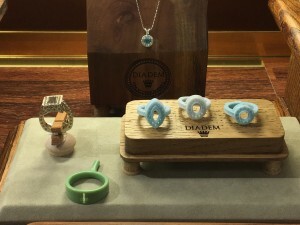 So this October experience the wonderful world of color at Diadem Jewelers. Written by Micah Brown On September 1, 2017. As we enter September where the heat of summer begins to wane, and the cool winds of fall start to make their ways into our lives. The colors of our wardrobe shifts, making Sapphire a perfect companion gem to match those new outfits.When you think of the word Sapphire, the color blue is probably the first thing that comes to mind, but did you know that Sapphire comes in every color of the rainbow, except for red? 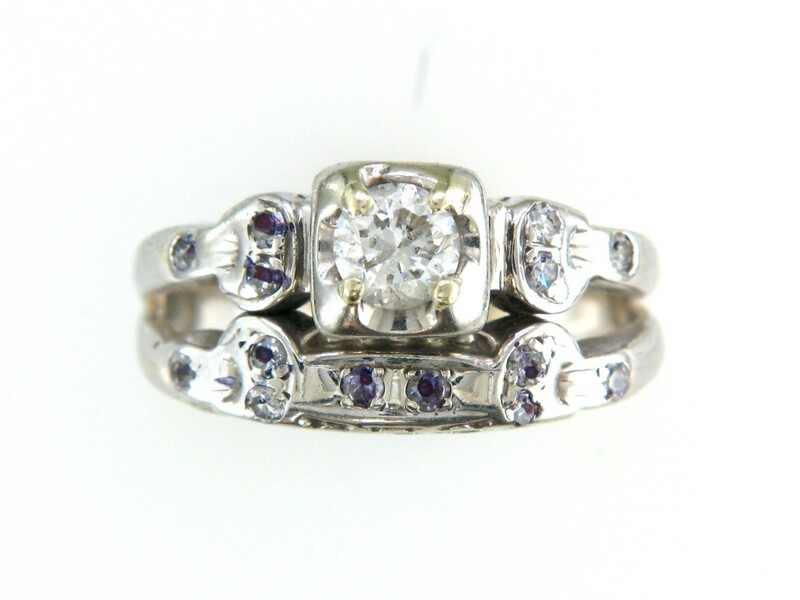 Let me explain, Corundum is the species of gemstone that includes the varieties: Sapphire and Ruby. Surprise! Rubies and Sapphires are almost identical! It is only miniscule amounts of different trace elements in their chemical makeup that dictate the color of Corundum transforming it from it’s pure state, which is transparent, into the deep blues and commanding reds we are used to seeing in Sapphires and Rubies as well as every other hue imaginable. When the term Sapphire is used by itself, in jewelry world, it is assumed to be referring to the blue color. When corundum falls within a specific range of hue, tone and saturation it is called Ruby. 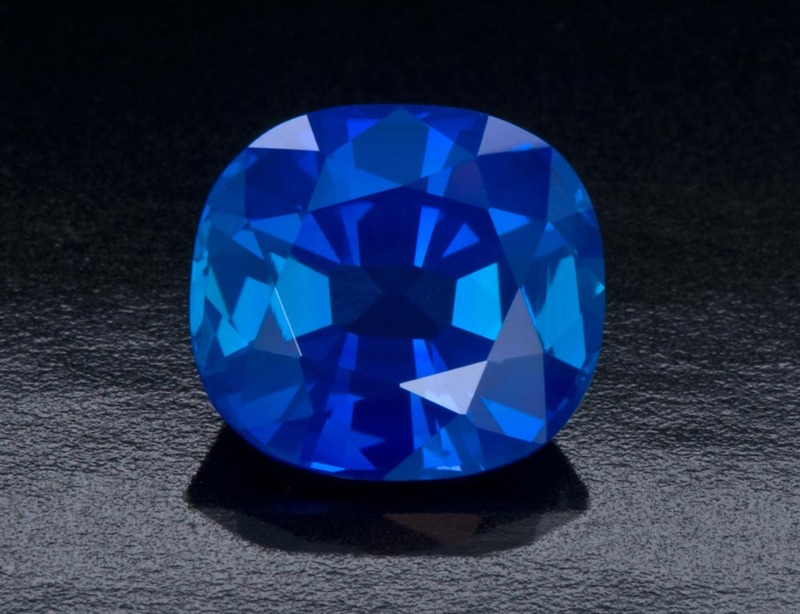 To specify every other color, the color description is followed by the term Sapphire. 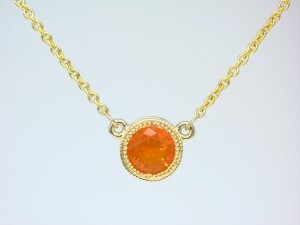 For example Yellow Sapphire, Green Sapphire, Orange Sapphire and so on. 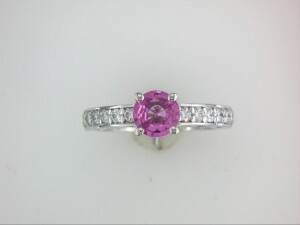 If red or reddish corundum is close to that “ruby zone” but is to light in saturation, it is Pink Sapphire. 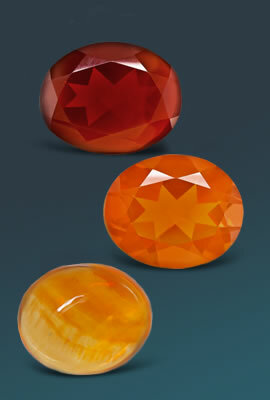 If it contains too much yellow, it’s Orange Sapphire and if it’s tone is dark it could end up being Brown Sapphire. Sapphire comes from the Greek word “Sappheiros”, which was a term used to describe Lapis Lazuli an opaque blue gemstone. In ancient Greece, blue Sapphires were given as gifts to rulers of the lands to protect them from harm and envy. With time, a Sapphire became a symbol of nobility, truth, sincerity, and faithfulness. Romanticism has always gone hand in hand with sapphire. 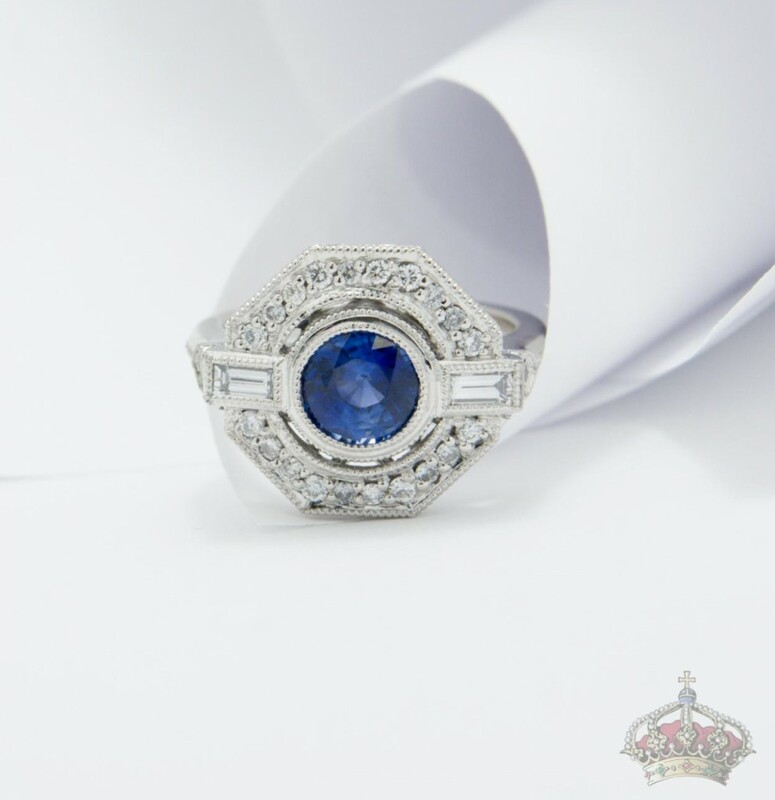 In the 1980’s this became mainstream as Lady Diana Spencer was engaged to Prince Charles of Wales in February 1981, and her ring was a lovely 18ct blue sapphire surrounded by diamonds in 18K white gold. Many remember the wedding of Princess Di and Prince Charles; it was the closest our popular culture has had to a real life fairy tale. Her choice to use a blue Sapphire as the center stone for her ring catapulted the idea of a Sapphire as the center stone for engagement rings into the forefront of the jewelry buying public and reinvigorated the age old idea of having a colored center stone. A choice which was much more common prior to the overwhelming marketing by De Beers in the early 1900’s that Diamond was the “right” choice for an engagement ring. The ripple effect of this event is not only felt today but it is growing, fed by the fuel of the engagement of Prince William and Kate Middleton in 2011 in which Prince William used the fairy tale ring of his late mother, Princess Diana, to propose. More and more brides are desirous for something unique, “Everyone has a diamond, I want something different.” is a common statement in today’s bridal market. 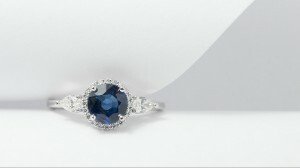 Natural sapphire occurs when aluminum and oxygen combine to create a compound, along with color-causing trace elements. 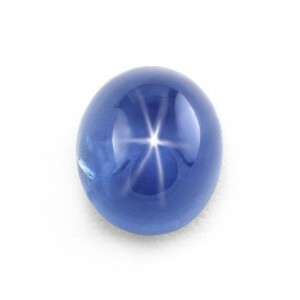 Most quality sapphire grows in silicon free environments; however, since silicon is a commonly occurring element, this makes natural sapphire relatively uncommon. In its purest form, Sapphire is colorless, but trace elements like iron, titanium, chromium, and vanadium give all colored Sapphires and Rubies their unique color. 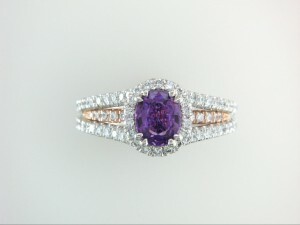 Almost all Sapphires have internal characteristics that often dictate how the stone will be cut and fashioned. They are often cut in many standard shapes like round, oval, pear, and marquise. 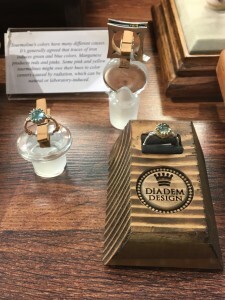 When stones are heavily included, they are typically cut into cabochons, a smooth stone with no facets, a domed top, and a flat or slightly domed underside. Sapphires can display a phenomenon called asterism, or the star effect. This star effect can be seen gliding along the curved surface of a cabochon; the phenomenon is caused by a light source reflecting on many tiny needlelike inclusions called silk. 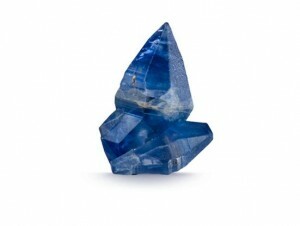 Sapphire gives us a range of colors that allow for many astonishing designs to be created. Deep rich blue is the most common color you will see in Sapphire jewelry, but pink, purple, white, green, orange, yellow are all used in necklaces, rings, bracelets, and earrings. Padparadscha is a rare and valuable pinkish-orange sapphire that imitates the color of a lotus blossom. Some colors can be scarce and can demand a premium price. Below are just a few examples of different color sapphire rings that we have produced featuring different and varied Sapphire colors. Sapphire has a 9-9.5 on the Moh’s scale. The Moh’s scale of mineral hardness characterizes the scratch resistance of various minerals on an exponential scale from 10 to 0. The top of the scale is Diamond at 10 and graphite at 0. Due to its exceptional hardness, sapphire is ideal for heavy everyday wear. This is why sapphire tends to be one of the primary colored gemstones in the market today and a common go-to for engagement rings with a colored center stone. Romance is a feeling that awakens when the person who makes you smile gets close to you. Romance is when you hear your name being called by the voice that makes you feel warm on the inside. Romance is remembering when you first meet, your first kiss. Romance can occur in many shapes, colors and forms. Sapphire is similar to romance as it provides us with a range of colors, shapes, and sizes that captivate our eyes and our hearts. So this September come experience the wonderful world of color at Diadem Jewelers.